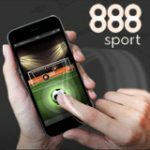 888sport Treble Odds on your first bet and get an extra $5 casino bonus to play slots online at 888casino. Winning bets are paid out triple their value within 24 hours. 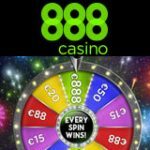 Get $5 freeplay bonus, login to 888casino with your username and password. This offer is for new customers only, maximum eligible bet is $10 winnings are limited to a maximum of $5,000. 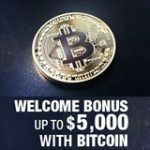 Bets must be placed within 90 days of signing up. 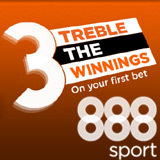 Deposits from Neteller or Moneybookers accounts in UK or Ireland are not eligible for the 888sport Treble Odds promotion. To find out if your country is eligible simply ask the live support on the deposit screen before making a deposit. 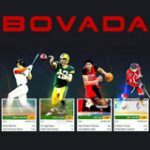 If you are new to 888sport then you will be able to get the $5 free casino bonus when placing a minimum bet of at least $5 on 888sport. After wagering the required amount you'll receive your casino bonus within 72 hours, claim your bonus within fourteen days or it will expire. The 888 casino bonus has a wagering requirement of thirty times the bonus amount before cashing it out. 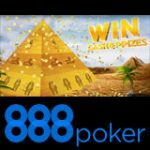 The 888 Poker Gift Showers promotion is currently underway on 888poker with a series of daily free tournaments running throughout the festive season.